who live all the way in victoria. and i just want it to be happy. but the help of something electronic would be nice! laughing, telling stories, and eating good food. 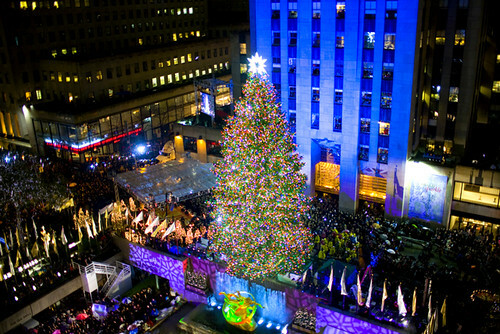 I can't wait to see you! I remember when Grampa made me sing "All I want for Christmas is my two front teeth", because that was when my two front teeth were knocked out! That's great news about the family gathering! I don't think I'll be seeing my family this year. 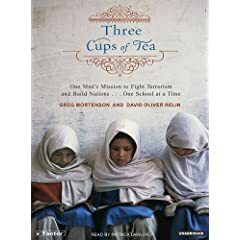 "three cups of tea" looks interesting, I really want to read it too. Thanks for sharing the book, it really does look interesting, I'm going to put it on my list! Hello! Thank you for your comment, which has now led me to your blog... which is lovely, by the way! :) You have a nice style of writing. I agree with the experiences vs gifts! I'm finding these days that I'd much rather have a good time with people, over a gift that I probably would not use. Real Simple is one of the few magazines I actually subscribe to. I love it! I also have Three Cups of Tea on my to-read list. Maybe it will be my first new book for the new year! Thanks for visiting my blog! I always enjoy new comments! But you're right, the most important is to spend time with the people you love. I love your blog...looking forward to reading more! You are going to love Three Cups of Tea! Time with friends and family is such a great gift! 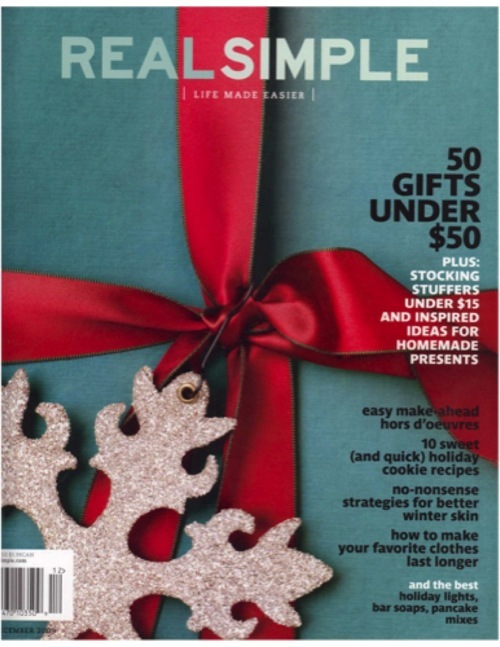 I love Real Simple too, such great ideas. i love love love to read real simple too!